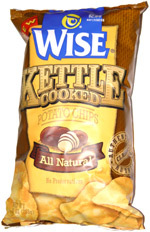 Taste test: These kettle-cooked chips were high on the saltiness scale but otherwise good. Most of the chips had a good crunch and lots of potato flavor (probably helped along by all of the salt). 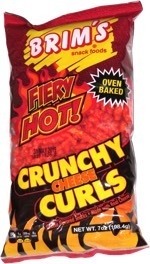 The texture and taste were not quite as not notch as Kettle Chips or Cape Cod Chips, but these were still pretty good. Smell test: Very nice fried potato smell. Mmmm!